← Is this what it’s like at your Thanksgiving Family Dinner? Pain from neglect and abuse lives on in many people’s lives until they learn to forgive their parents, release old hurts, and move forward to create a fulfilling life. It’s challenging to forgive and forget the pain of childhood neglect and abuse, ranging from the lack of affection and attention, to the lack of proper nutrition and health care, all the way to emotional, mental, physical and sexual abuse. It takes time to heal from victimization, but with self-care and an understanding of how old wounds can be transformed into life lessons and gifts, people can take steps toward forgiving their parents and moving forward in life. It’s unfortunate that parents aren’t automatically trained and licensed to care for precious young human beings. But it is fortunate that people are inherently resilient and can learn powerful life lessons from childhood neglect and abuse supporting them to heal, grow, and create a fulfilling life. Painful childhood experiences, once acknowledged, nurtured and processed, can be turned into growth opportunities if looked at with a fresh perspective. 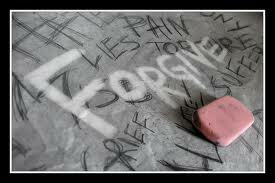 Try viewing past neglect and abuse from the following vantage points as a way to forgive and forget. Strengths gained. “What doesn’t kill you makes you stronger,” is a famous quote by Friedrich Nietzsche. When a person purposely looks for the strengths they gained from painful experiences, they shift from blame and feelings of anger, sadness and hopelessness to a place of empowerment and confidence. Make a list of all the strengths gained as a result of childhood neglect and abuse. These might include such things as having a brilliant inventive mind or wonderful imaginative skills as a result of spending so much time alone as a child, or developing financial budgeting skills from experiencing poverty, or having deep compassion and sensitivity to others’ pain from having related experiences. Gifts received. Being raised in painful and challenging conditions teaches people to live life differently. Some end up doing the opposite of their parents. A person whose parent felt trapped in an unpleasant job may grow up to pursue and achieve their dream career. Another who watched their parent miss out on life due to depression or alcoholism may grow up to live life to the fullest, enjoying every aspect of it. These are the hidden gifts of learning from others’ mistakes and misfortunes instead of repeating them. Notice the areas where you’ve chosen a different and better life than your parents. What other gifts await development as a result of what you witnessed and learned? Soul perspective. Taking this a step further and broader, people who view this life as one of preparation for something greater, may use the childhood neglect and abuse they received as a soul growth experience. Similar to how some actors like to take on a variety of roles from the villain to the victim or the dramatic to the comedic in order to further develop their acting skills, some souls may want to experience various aspects of life as a way to grow and evolve. What better way to develop understanding and compassion than from first hand experience? If it fits, explore this lifetime from a bigger soul perspective for lessons and growth. Gini Grey is a Transformational Coach and writer. She is the author of the book, From Chaos to Calm: How to Shift Unhealthy Stress Patterns and Create Your Ideal Balance in Life, and the CD, Create What You Want in Your Life. For more information visit Celebrate YourSelf (www.ginigrey.com) and for additional articles visit Insights & Inspiration (www.ginigrey.com/wp), Spiritual Transformers (www.ginigrey.com/spiritualtransformers) and The Love Bug (www.ginigrey.com/LoveBug). This entry was posted in aging, boomers, caregiving, dying, elders, working caregiver and tagged aging, boomers, caregiving, dying, elders, forget, forgive, moving forward, overcome, working caregiver. Bookmark the permalink.